You might be surprised to learn that compressed air inefficiencies in industrial applications likely aren’t primarily the fault of the compressor. You might also be surprised to learn that operators who successfully diagnose the correct causes of inefficient compressed air operation could reduce their plant’s compressed air energy costs by as much as 20% to 40%. Due to its versatility, compressed air is used extensively in industrial plants for a wide variety of applications – and new applications are continuously being developed. Therefore, compressed air is unlikely to ever become an obsolete aspect of industrial operations. However, the U.S. Department of Energy reports that approximately 10% of the electricity consumed by a typical industrial facility is used to generate compressed air. Additionally, when analyzing the 5-year life cycle cost of new compressed air systems, 80% of that cost is energy-related. That’s why compressed air inefficiencies should be a major concern for plant managers, as well as maintenance, production, project and planning engineers. Unfortunately, several misconceptions about how to reduce energy costs through increased compressed air efficiencies have prevented many industrial operations from truly taking control of their compressed air energy costs. Here we share 3 surprising truths about compressed air systems so you can begin to reduce expenditures, improve the reliability of your systems and generate investment capital for future equipment improvements. 1. The compressor motor isn’t usually where significant efficiencies are gained. Although an energy-efficient compressor is certainly an asset, it isn’t usually a primary contributor to significantly reduced compressed-air electricity expenses. Rather, achieving system efficiency of the entire compressed air system – from compressor to end use – is necessary to obtain maximum savings. 2. Increasing the pressure isn’t always the answer. In fact, frequently it is not. An efficient compressed air system is characterized by stable pressure levels. Steady pressure levels are achieved by addressing two things: air demand patterns and the minimum acceptable pressure level required for reliable production. But the physics and dynamics behind compressible fluids are technically challenging, and production environments make analyzing rate, flow and pressure inherently difficult. Unfortunately, many operators who fail to properly diagnose the causes of system problems simply increase pressure to improve performance. Blindly increasing the pressure without understanding the root causes of performance issues leads to increased energy costs. 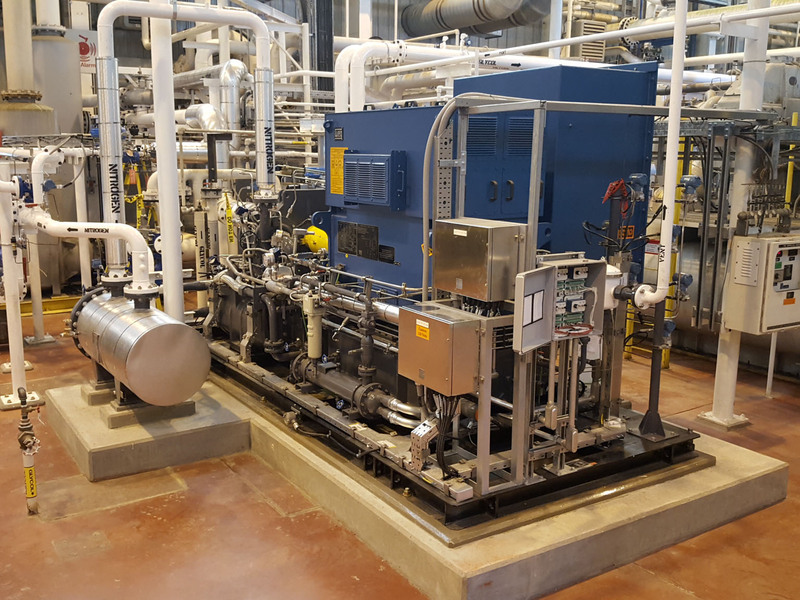 An audit completed by a Fluid Flow compressed air specialist will reveal which aspects of your compressed system can be fine-tuned in order to reduce energy costs and increase reliability. Up to 10% was being lost to inappropriate uses. Up to 15% was being wasted through artificial demand. Up to 30% was lost to leaks. The good news is that, in most cases, lower energy costs are completely attainable for industrial operations that have not optimized their compressed air systems. To begin saving, download our report, “How to Reduce Energy Costs in Compressed Air Systems,” or contact us about compressed air and fluid management solutions today.